Trevor Francis, Britain's first £1million footballer, was in a Solihull hospital on Friday night recovering from a heart attack. The former Birmingham City and England legend felt severe chest pains while in his apartment near the town centre on Friday afternoon. He immediately underwent surgery and has had a coronary stent fitted. His wife, Helen, and son James were by his bedside. His other son, Matthew, who lives in Spain, has been kept abreast of developments. Francis was the original boy wonder of English football, scoring four goals on his full debut for Birmingham City in 1970, aged just 16. He was eventually transferred by Jim Smith for a seven-figure sum to Brian Clough's Nottingham Forest. 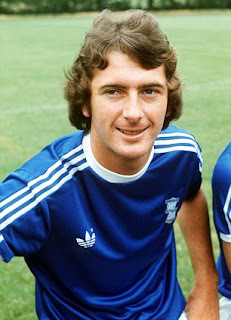 Within four months of arriving at the City Ground, he headed the only goal during the club's 1-0 victory over Malmo in the European Cup final. 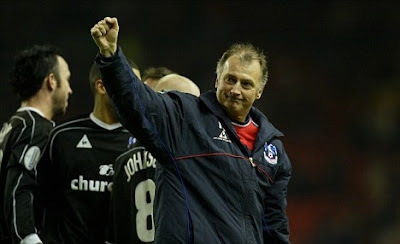 He went on to score 12 goals in 52 appearances before retiring and managing Sheffield Wednesday and QPR among other clubs. However, his name is synonymous with Birmingham City and he remains a significant figure at the club having managed them for five years. Since leaving management, he is a regular pundit with Skysport and Al Jazeera television.